Mobile robots for Industry 4.0. Welcome to a brand new industrial revolution. The TUG is your Industry 4.0 mobility solution. It works 24/7 moving inventory, work-in-process and other goods directly to your workers and almost anywhere in the plant. With our background navigating in hospitals, you know you’re getting a proven and safe solution. An array of laser, ultrasonic and infrared sensors give TUG a full view of its surroundings. It’s so nimble it can avoid people and obstacles and even operate doors and elevators. With a variety of carts that can be attached to its universal base, TUG safely hauls up to 1,400 lbs. of almost anything. Best of all, with digital mapping and navigation, TUG requires no additional fixed infrastructure such as beacons, magnets or wire guides. Integration to ERP/MES systems allows automatic dispatch and real-time material movement updates. 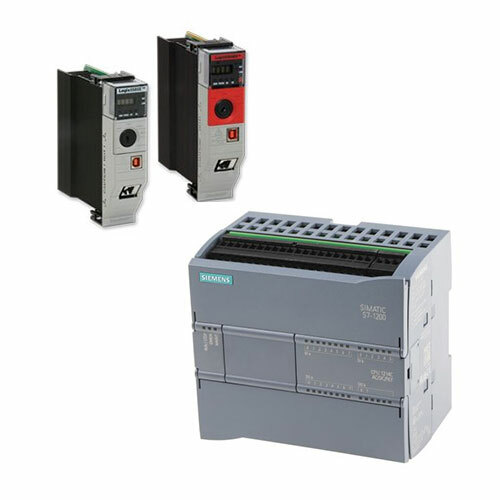 TUG can respond to real-time requests from the production line through integration with PLC controllers. TUG automatically picks up and drops off carts, eliminating the labor that would otherwise be needed to load the robot. It also communicates with your IT system to automate the dispatching of the robot fleet and update the inventory system when materials are moved. TUG is ready for whatever’s now and whatever’s next. Our software is continuously updated so TUG is always current with whatever’s current. 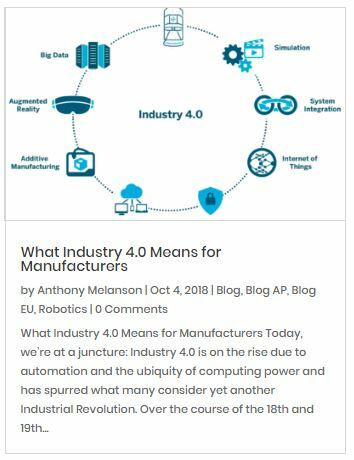 How does TUG compliment Industry 4.0 initiatives? 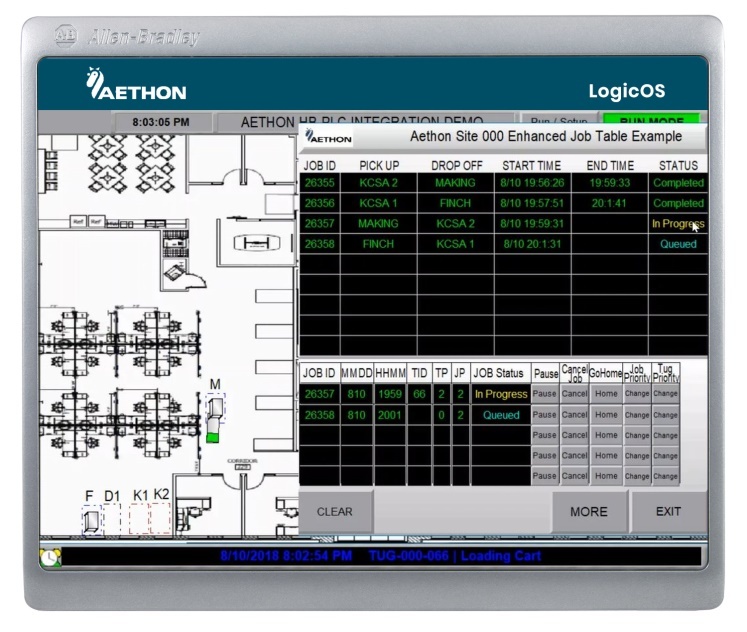 LogicOS™ is Aethon’s solution for third parties who want direct control of TUG autonomous mobile robots using standard programmable logic controllers, or PLCs. LogicOS provides open integration to TUG operations, real-time interaction to synchronize material flow with equipment and the ability to integrate TUG equipment with the HMI. TUG integrates seamlessly into existing systems and can autonomously navigate around tight assembly lines and fast-moving workers. Plus it can adapt to the ever-changing footprint of a crowded facility. Choose the features you need and you’re on your way.